Mått: 50 cm i diam. 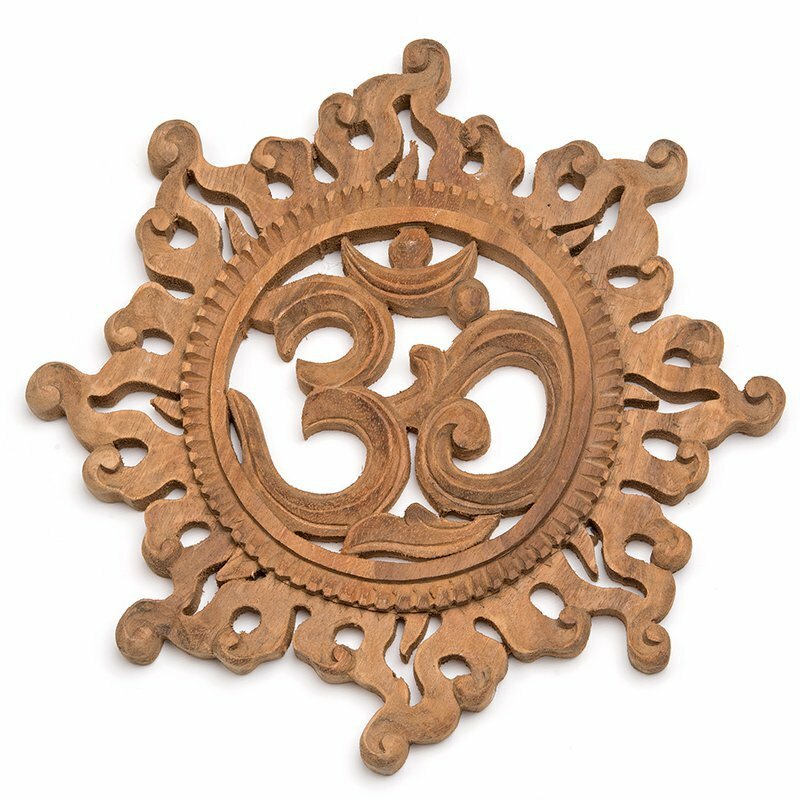 Om is considered to be the nucleus or original syllable of creation. Om is the vibration of the moment, the breath, which evolves into word. A sound not belonging to any language, that existed before language. Its sound is so strong, that the mere repetition of OM leads to deep meditation and wisdom. Om creates calm and inner peace.